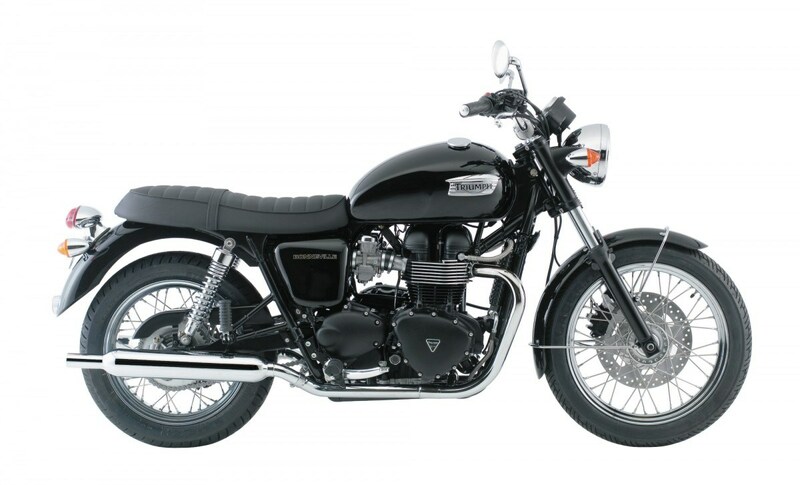 British Customs publishes an article comparing the advantages and disadvantages of air-cooled and liquid-cooled engines for riders interested in Triumph's line of new "reborn" motorcycles. 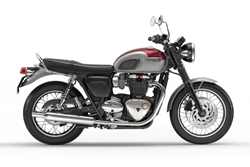 The soon-to-be-released Bonneville T120 with a liquid-cooled engine. Air-cooled engines are simple, reliable, and look great. As technology advances, tradition pays the cost as the world marches on. Change is inevitable, but some still choose to hold on tight to deeply rooted values. For Triumph Motorcycles, a company built on over a century of heritage and tradition with a loyal following of riders who firmly believe in that heritage, change is something that will do more than lift a few eyebrows. 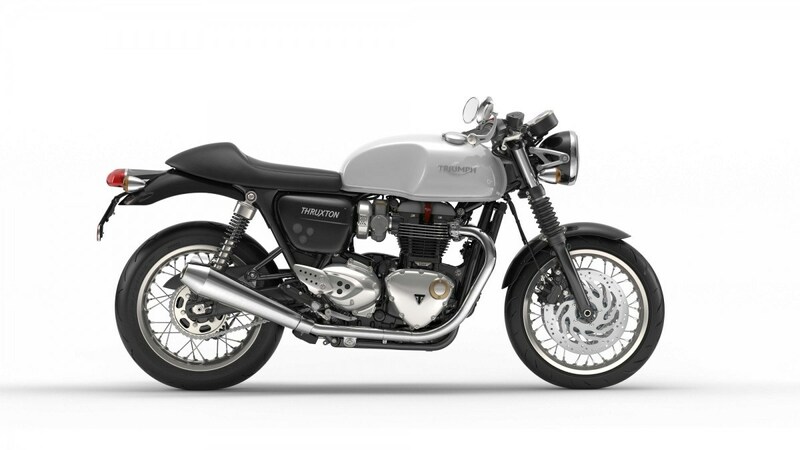 The change referred to, of course, is the transition from air-cooled engines to “reborn” liquid-cooled engines in their new Street Twin, Bonneville T120, Thruxton, and Thruxton R. But why is Triumph making these changes? What are the costs and benefits? Why are people taking up arms about it? British Customs takes a look with an in-depth piece on their blog. 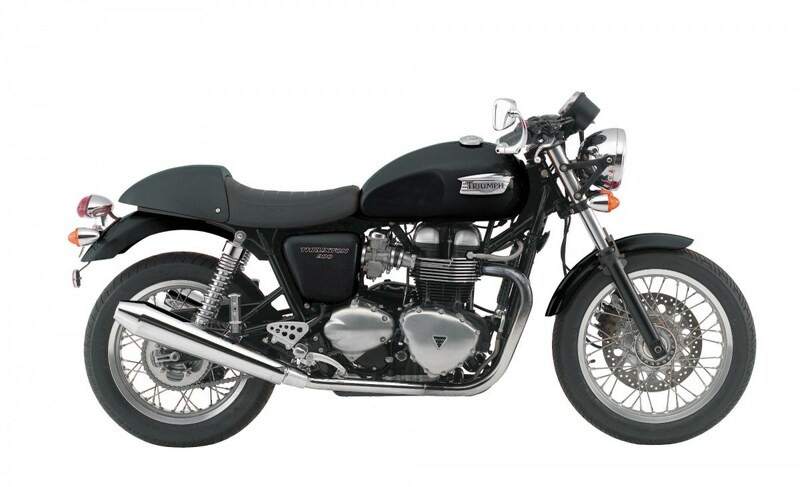 Traditionally, Triumph, like almost all other motorcycle manufacturers did, always used air-cooled engines to power their motorcycles. Air-cooled engines are simple, reliable, and look great. The look of a classic motorcycle engine is usually distinguished by rows of nicely sanded fins adorning the cylinders and heads. But those fins aren’t just for looks. Those fins are designed to dissipate heat into the surrounding air, so that while riding, the air passing over the engine pulls the heat out of the fins and thus out of the engine. Hence — air-cooled. Air-cooled motorcycles also allow for more customization than their liquid-cooled counterparts due to the simplicity of their design. Without the constrictions of having a radiator and the related components, riders have more room for customization all around the engine. These customizations can be for both appearance and performance. Due to this design, air-cooled engines have a broader operating temperature range. Since they rely on the environment external to them to keep them cool, the engine operating temperature varies greatly: the engine sitting at a stoplight in July and the engine making a coffee run on a cold December morning are both simply relying on the environmental temperatures to keep cool—which is to say they can’t really do it themselves. The design of air-cooled engines also leave a bit more room for expansion and contraction in the engine itself, since the temperature range is so broad. This primarily means that they are less efficient because they literally allow for more wiggle room. As such, it also means there’s a little bit of internal leakage and a leaner air-to-fuel ratio (typically, a richer a/f ratio yields higher performance). Air-cooled engines are also very clean looking. Since they don’t have radiators, hoses, and pumps, there is less in the way of the engine, allowing it to be viewed in all its glory. Liquid-cooled engines, on the other hand, regulate their own operating temperatures by encasing the engine in a liquid (usually antifreeze or water) cooled by radiators. The pump circulates the coolant from the radiator, around the engine, and then back to the radiator in an endless cycle of cool. The radiator relies on air streaming into it while the motorcycle is in motion to keep itself cool, but in the instance of sitting at a stoplight in July when the engine starts creeping towards the uncomfortably toasty range of the operating temperature, the fans will kick in and feed air directly into the radiator, keeping the motorcycle from turning into a barbecue. Since liquid-cooled engines have narrower operating temperatures — meaning that they operate at a more consistent temperature — they tend to be more efficient. Less expansion and contraction means more consistency, and more consistency allows for a more efficient and precise design. It also means they arguably last longer because they endure less wear and tear. However, riders do run the risk of being put out of commission if a rock flies into the radiator while riding at speed, causing very costly damage. In the end, just because it’s new doesn’t mean it’s better. Liquid-cooled engines may run at lower temperatures, but they aren’t necessarily more reliable, and they have severe limitations in terms of personalization. Riders of discerning taste may also frown upon the high number of faux parts adorning Triumph’s liquid-cooled engines, including the fake carburetors and fins that serve no purpose other than to hide the fact that it is an engine that has abandoned its heritage. In an age of irony, authenticity is king.